Pregnancy and Birth is a natural and exciting process! Chiropractic care supports this process by working with the body’s ability to adapt and function the way it is designed to. Chiropractic care during pregnancy is safe and effective, and helps the Mother’s body to remain vital while the developing baby grows healthy and strong. Creates pelvic balance which prepares the pelvis for an easier pregnancy and birth. Reduces undue tension to the uterus, which creates increased ease and comfort throughout pregnancy and birth. Decreases the need for c-sections, epidurals, forceps or other interventions allowing for a safer, easier, natural birth. Can decrease abnormal progress in labor and birth trauma caused by intervention. With proper fetal positioning, there is a significant decrease in dystocia (abnormal progress in labor) and the resulting birth trauma caused by intervention. The Webster Technique is a specific chiropractic analysis and technique for balancing and aligning the pelvis and sacrum which can be used on anyone. 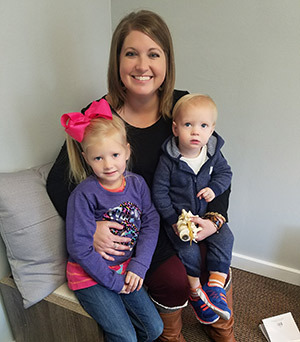 However, over the past 30 years or so, The Webster Technique has become popular among pregnant women because proper pelvic and sacral alignment and balance allows the baby more comfort in utero and a more natural birth process. There’s No Patient Too Young! 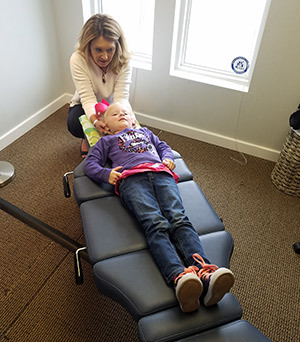 There’s no patient too young for chiropractic care! Chiropractors check infants moments after birth for misalignments of the spine and cranium that may occur as a result of the birth process. In addition to supporting overall health and well-being, chiropractic care supports healthy brain and nervous system development. Many parents bring their children in when exhibiting symptoms of colic, digestive problems, asthma, allergies, bed-wetting and sleep problems, just to name a few. 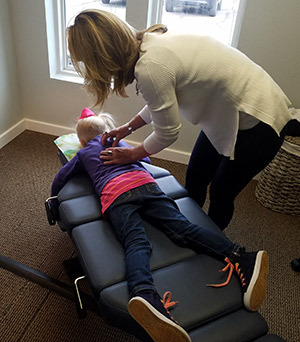 Chiropractic does not treat these conditions, the adjustments enhance nervous system function improving your child’s general well-being. Re-printed with permission from the ICPA. Dr. Caplan has a passion for helping Moms and babies function at their highest abilities. Contact us today to find how we can help you!